What is The Learning Ecosystem? Mike from Good e-Learning discusses ‘The Learning Ecosystem’, an industry-leading learning management system. Built using Docebo, the LMS allows Good e-Learning to deliver excellent online training courses, as well as the tools to monitor the success of learners and provide tailored experiences. When it comes to online training courses, businesses are often told that they need to choose a ‘learning management system (LMS)’ if they want to fully achieve their learning objectives. But what is an LMS? How can they benefit corporate training programs? Most importantly, what is the best option out there? 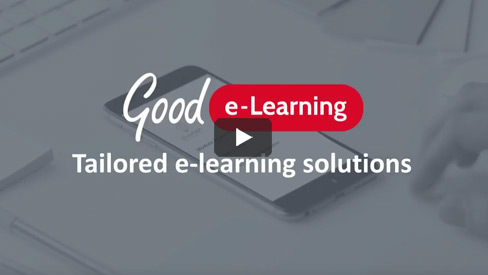 In this video, Mike from Good e-Learning discusses ‘The Learning Ecosystem’. Built using Docebo, one of the world’s most popular LMS systems at its core, The Learning Ecosystem is designed not only to provide easy access to online courses, but also to give managers a way to monitor the success of their training programs and foster a sense of community among learners. The Learning Ecosystem offers a number of performance metrics to help track user activity, and can even help to create tailored experiences for individual students. As a value-added reseller for Docebo, Good e-Learning’s LMS leverages a number of additional capabilities to help encourage a constructive sense of community among students, including newsletters, forums, blogs, resource libraries and peer group discussions. Good e-Learning can even create bespoke versions of the LMS for individual companies, allowing them to deliver a unique training experience to their employees. Curious about The Learning Ecosystem? Book a FREE demo and find out how The Learning Ecosystem can supercharge your organizations learning and development!